Our mission is to be the premier provider of free and low-cost leadership tools, information and resources. We enable leaders, and those who aspire to lead, with quality tools that assist them in growing their business and maximizing their results, both personally and professionally. If you have found any of the free tools, ebooks, articles or other leadership resource material on our website useful, please consider making a personal donation of any size. As our website continues to experience rapid growth and development, we very much appreciate and need your financial support. It is only through the caring and financial support of leaders like you, who understand the value of the FREE leadership tools and resources that we provide, which allows us to continue to support our mission of attracting and helping tens of thousands of people every month. Your financial assistance allows us to continue to motivate and support aspiring leaders from all walks of life. Your contribution will help to ensure the future growth of Leadership-Tools.com. Whether you can offer $10, $25, $100 or more, your donation will be used to continue this valuable work of offering free leadership tools to anyone interested in improving their results, and/or continuing a journey of self improvement and personal development. Since we do NOT require membership dues, or payment of any kind for the vast majority of our leadership training tools, we must rely solely on the revenue we generate through advertisers and the generous support of our readers. Your generous contribution will support our mission and assist us in paying for the creation and distribution of additional leadership tools. In addition, you will be helping to cover the operational costs of research, development and maintenance of this website. The good news is that it's easy to support our mission - simply click on the donation button provided below. "The measure of a life, after all, is not its duration, but its donation to others." 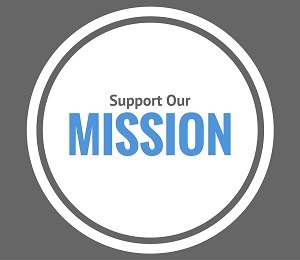 Why Donate to Support Our Mission? Here are just a few of the countless testimonials that readers have shared that support our mission. These testimonials represent the quality and the effectiveness of the leadership tools and resources we provide to anyone interested in becoming a more effective leader. Fantastic site! Thank you so much, you have saved me hours of research time. Your site is so easy to use. I am a beginner in the world of computers and I love that your site is so user friendly. It's simply fantastic." "Your site is a really wonderful source of great 'no strings' advice. Usually, there seems to always be a catch prior to receiving true service. But you are really providing a wonderful service of spreading quality knowledge without a hidden price tag." "As a new leader of a small organization, this information is very helpful to me as I strive to develop my staff." The site contains an interesting perspective of the 360 degree performance review process. There are many sites offering web based services but few that go as far as actually offering a template to make you think about the "real" process." "Your articles are very encouraging and they made me reflect on my leadership style. I want to thank you for such a motivating piece of work. Please keep up this tremendous work!" (Regarding the 360 tool) "What a great and simple tool! I am a little nervous, but at the same time excited, about what I am about to learn about myself and the way that I am perceived by others." "Excellent! I started off by doing a workshop on the topic of Leadership. I fell in love with this site and it has given me ideas for other workshops, as well as how to better myself as a leader. Thank you!" "I am taking over a company and finding this website and the information it holds to be an incredible boost to my confidence. I now truly believe that I can make this thing work!" "I am really happy I found your site. I am starting my own business so I need to develop leadership skills. I have already found some great tips that I will start incorporating into my daily routines." "It’s great to have a resource like this available that lends such quality guidance. The information is truly inspiring to regular people wanting to better themselves, who have historically lacked the proper tools." "Your site is really good! I have been motivated through reading your articles and I can only wish that you continue motivating others. I will introduce the site to friends and colleagues. Thanks once again." "Providing useful tools for free shows the level of commitment you have to others. Your professionalism and honest delivery fosters trust and loyalty from your readers. You truly understand the value of providing honest customer service." Thank you for your consideration in making a donation to support our mission. We'll continue to strive to provide even more ready-to-use leadership tools for your benefit, as well as all aspiring leaders.